The Red Lichties were held to a 1-1 draw away to fourth-top East Fife. Rovers had to rely on a Kevin Nisbet goal in stoppage time to secure a draw away to Dumbarton and move a point clear of Forfar Athletic. Stenhousemuir managed a point away to Stranraer but remain bottom, two points behind Brechin City, in a game where a replacement linesman was required. Rory Currie fired East Fife into the lead against the league leaders after only six minutes. Luke Donnelly shot the visitors level midway through the first half with the striker's first goal since signing from League One rivals Stranraer in January. Second-top Raith Rovers could not take advantage of Arbroath's draw despite moving into a ninth-minute lead through Nathan Flanagan. Two fine finishes from Ross Forbes put the Sons ahead by half-time and it looked like that would be enough for a victory until Nisbet's late header. 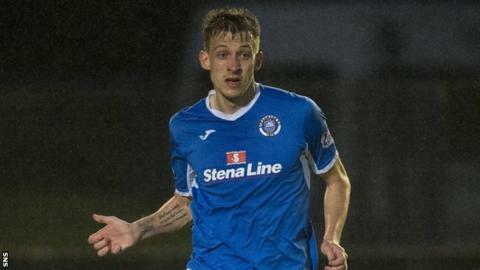 The match at Stranraer's Stair Park was delayed after an assistant referee picked up a hamstring injury and a replacement had to be found from the crowd. Conner Duthie fired Stenny ahead seven minutes into first-half overtime, but David Smith found the net from a difficult angle five minutes later.